Of anyone in the family, Theodore Thomas Goodland may be the most mysterious, looking back from the vantage point of 2011. He also was very likely the most interesting—the Goodland with whom I think I'd most like luncheon in Heaven. So much of what anyone experienced 100 years ago is now shrouded in time. Unless details were meticulously recorded and carefully preserved, so much has been lost. That's particularly the case with young Theodore. Theodore Goodland was born in the late spring (Apr-May-Jun) of 1881. He first appeared on a census form on 5 April 1891, listed as the 10-year-old son of Gillmore Goodland (meaning his birthday came before the 5th of April). Theodore is also listed as a "scholar." Again, it is likely he was studying his lessons at his father's school, which was probably then known as Withycombe School, and now known as Withycombe Raleigh Church of England Primary School. Theodore would have been about 20 by the time of the 31 March 1901 census, but he doesn't appear in it. We pick up Theodore's adult life in much the same way we discovered his brother Ernest's: Theodore went to sea. Australian archives record the Quathlamba of Auckland [pictured, right, and above, left] steaming into port at Sydney, New South Wales, from Kaipara, New Zealand, on 22 May 1903. Among crew members like 45-year-old book steward Choo Poo of China is recorded a Theodore T. Goodland, 22, out of Exmouth, Devonshire. His station is listed as "AB," Which I believe means "able seaman." 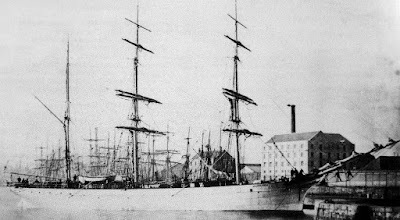 Later that year, the same ship departed Kaipara and sailed into Sydney on 10 August. Aboard was an "AB" named "Goodland, T.T." And on 12 October, making the same run on the same ship from Kaipara to Sydney yet again, was T.T. Goodland, the 22-year-old from Exmouth. Those are the only available records from the 20th century's first decade, but they are of great interest. First, they indicate a man working for a living, not seeing the world as a merchant seaman before finally coming ashore to make his mark on the world. While Kaipara to Sydney would be an exotic adventure to those gathered around the hearth back in England, making an identical run three times on 1903 smacks more of a mature seaman involved in his life's work, not a young cove looking for a bit of adventure before settling down. 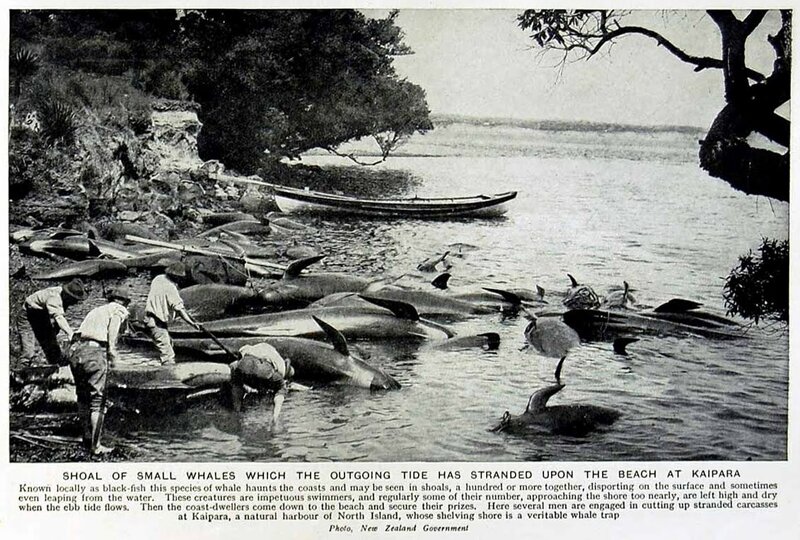 Theodore, as of 1907, would have company near Kaipara [left] in the South Seas. 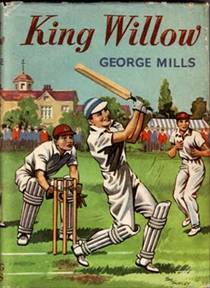 His older brother Ernest and younger brother Kenny would arrive in Sydney aboard the HMS Miltiades. While we don't know much of Kenny's life before Australia, Ernest has already appeared on the 1901 census with his occupation listed as "sailor (mate)." In fact, we know that Ernest was working on the high seas as early as 1896, sailing as an apprentice aboard the Carnedd Llewelyn out of Liverpool. Both brothers settled down under, and Theodore suddenly might have had family nearby for the first time in years. Interestingly, back on the 1891 census we found a widow, Emily Darling, boarding with the nuclear family of the senior Gillmore Goodland in Wythicombe, Exmouth. Darling was the wife, as we know, of the late Andrew H. Bromley, a London "Missionary to Foreign Sailors." Is it merely a coincidence that Mrs. Darling found her way from London into the home of Gillmore Goodland? Ernest, Theodore, and Kenny were all attending school and living at the house with her. This is a 'chicken and the egg' puzzle: Did Mrs. 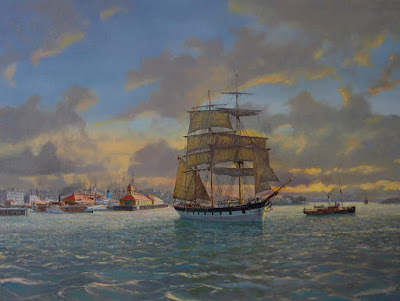 Darling spin yarns of sailors weathering storms and battling pirates, inspiring the young trio of listening 'scholars,' or was it a family that had always lived near ports (Exmouth, Bristol, Cardiff) and that many relatives always had been seafarers—something that may have later led Mrs. Darling into their home? As a matter of fact, there is a missing census record—1861—bearing the senior Gillmore Goodland's name. Let's rewind, though. The 1851 census record shows us Gillmore as a young scholar himself, 9 years of age, dwelling in the home of his "accomplant" father and his mother, William and Elizabeth Goodland, 41 and 44 years old, in Tiverton, Tivert, Devonshire. He also lived with his sisters, Anna, 12, and Elizabeth, 5, as well as an 55-year-old aunt, Mary Goodland. Something, however, split the family. By 1861, the dynamics changed for parents William and Elizabeth. The 1861 census records one of Gillmore's sisters, 22-year-old Anna, living with the family of an uncle, Alex B. Campbell, who was a vicar in Sittleham, Exmouth. 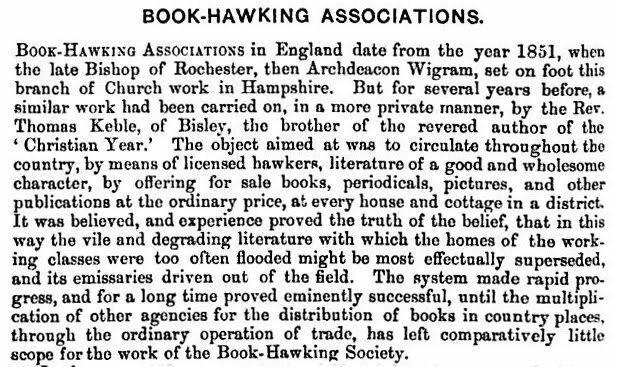 His other sister, Elizabeth, 15, was living with her parents at Portsea, Hampshire, where her father, William Goodland, 54, is no longer an accountant, but a door-to-door "book hawker," and his spouse, 57 years old, is pointedly listed as a "book hawker's wife." Gillmore had disappeared from the U.K. census in 1861, at a time when he'd have been 19 years of age. In 1871, however, he was recorded as a young married man living in Withycombe Raleigh in Exmouth at the age of 29, with a brand new bride, Frances Mary Goodland (the wedding having been early in 1871) and a 16-year-old servant, Mary Hankin. 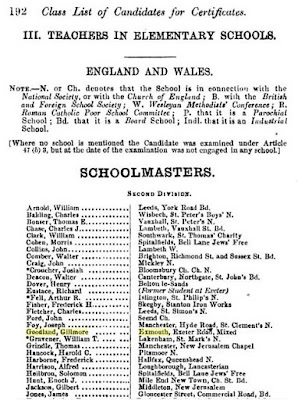 His occupation is described as "schoolmaster." 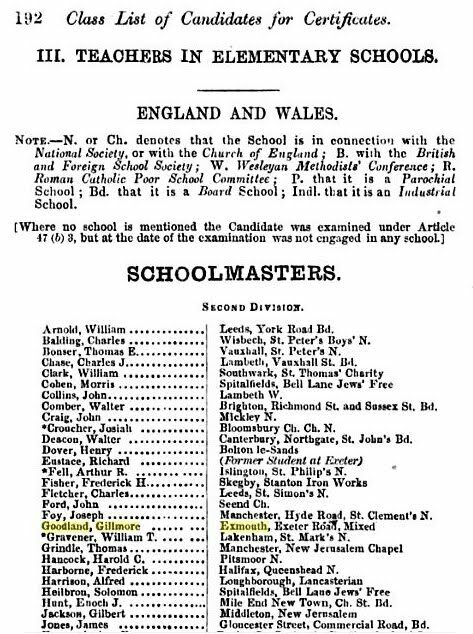 In 1875, Goodland passed the Education Department's Christmas Examination (2nd Division) as a schoolmaster and went to work as a certified elementary school teacher at an unnamed "mixed" educational institution, undoubtedly Withycombe School in Exmouth [a composite image of the text appears, left]. By 1881, Gillmore and Frances had five young children, and Goodland was still working at the school. Where the elder Goodland had been between 1851 at the age of 9, and when he reappeared on the census rolls at 29 in 1871, we do not know. He surely was no longer with his parents at home in 1861, or at least not according to the census form. What's surprising, however, is that we don't find William and Elizabeth's 19-year-old son (and Theodore's future father), Gillmore Goodland, anywhere. Is it possible—in fact, is it likely—that Gillmore Goodland, the elder, was at sea for at least some of those years? I can find no record corroborating it, but the only things we know for sure are that he was in school himself at 9, then teaching school at 29, and finally taking the certification examination at 33. That, and he somehow avoided being counted in the census in 1861. I believe there's a very good chance he was aboard a ship in 1861, and that his adventures would have made him kindly disposed to the widow of a "Missionary to Foreign Sailors." And while son Joshua Goodland would be inspired by his father to become an educator, his sons Ernest and Theodore would follow in his footsteps in a different way and put to sea themselves early in life. In 1910, Theodore Goodland arrived in Southampton aboard the Kildonan Castle [pictured, right], bound from Durban, South Africa (via Madeira, Nadal, and the Cape ports) on 1 January 1910. He is listed as traveling from Cape Town to Southampton as a single English male "seaman." This trip home to England originated on the continent of Africa, not Australia or somewhere in the South Seas. Perhaps he had sailed into Cape Town on a freighter and simply booked passage north from there instead of sailing the return voyage. There is no record, however, of Theodore subsequently sailing out of England. The next records we have are not Theodore's records at all, but those of his wife, Marguerite. 1923 shows her steaming into Tilbury on 19 July 1923 aboard the Ormuz of the Orient Steam Navigation Co., whose voyage began in Brisbane. Aboard we find Marguerite Goodland, 21 years old, along with Miss Mary Goodland, aged 10 ½ months [the manifest entry is seen below, left]. Having boarded the ship in "Port Suez," they gave their country of last permanent residence as "Egypt." Their destination address was listed as "144 Ashley Gardens, Westminster, London." 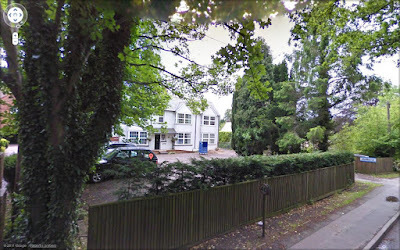 That is the address of Theodore's brother, Joshua Goodland, at the time, just before the latter bought into Warren Hill School in Eastbourne and became the "some time Head Master" of our interest here. In 1925, Marguerite (listed on the manifest as "Goodland, Mrs. T.T.") disembarked from the Oxfordshire of the Bibby Line at Tilbury on 6 July. The ship had sailed from Rangoon, but she had once again boarded at Port Suez, and listed Egypt as her country of last permanent residence. This time, however [a composite manifest entry id pictured, right], she was traveling with Miss Mary Goodland, then 2 ¾ years of age according to the manifest, as well as first-time traveler Miss Susan Goodland, aged 1 year. The family's destination was recorded as "Radfords Farm, Crawley, Sussex." Interestingly, the family's "intended future residence" is checked off as "OTHER PARTS OF THE BRITISH EMPIRE." 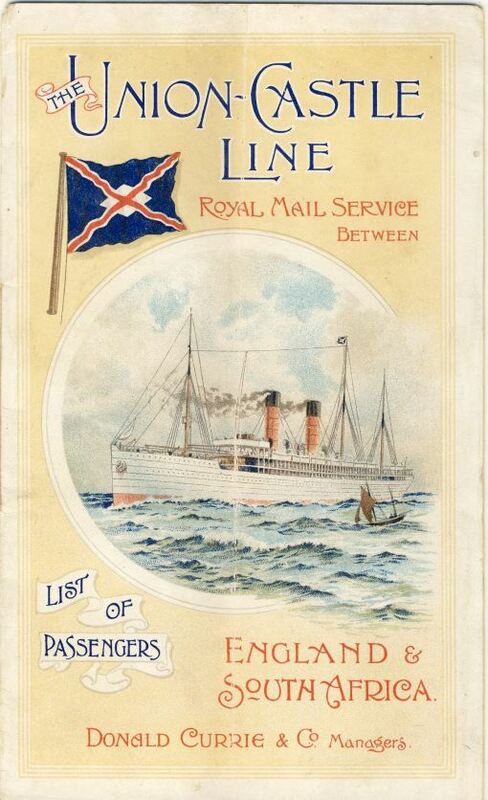 On 7 November 1925, Theodore Goodland himself steamed into Liverpool aboard the Adda of the African S.S. Co., presumably to join his family in Sussex. His country of last permanent residence: "West Africa." Goodland was hailing from "Sekandi" on the Gold Coast of what is now Ghana. 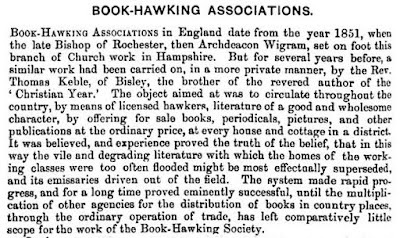 His address: "African Eastern Telegraph Co., Electra." His occupation was: "Master Mariner." In 1907, we met Theodore as a "seaman." 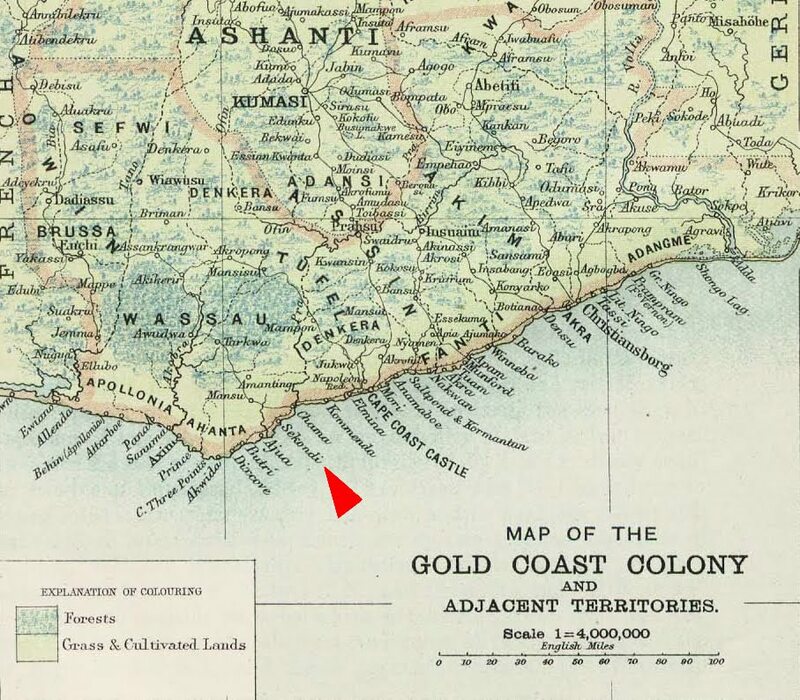 By 1925, he is captaining his own merchant vessel(s) out of Sekondi on the Gold Coast [map, left]. His family called Egypt home and indicated their intent was still to live outside of England that year. Did Goodland marry the daughter of a British diplomat or expatriate in Egypt and "settle" there? 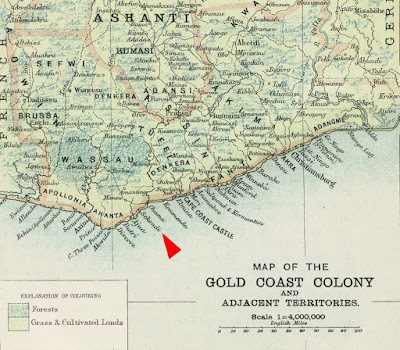 Using the address of a telegraph company in Ghana indicates that the Gold Coast would not have been his permanent address. Who owned Radfords Farm in 1925? Joshua Goodland? If Radfords Farm belonged to Joshua, recently a high-end barrister from London, and he lived there, it would have been a 20-some-odd mile commute, one way, to Warren Hill. It would not seem too unusual for any spouses in the Goodland clan to have lived apart from each other, though, so why think Joshua would have been different? 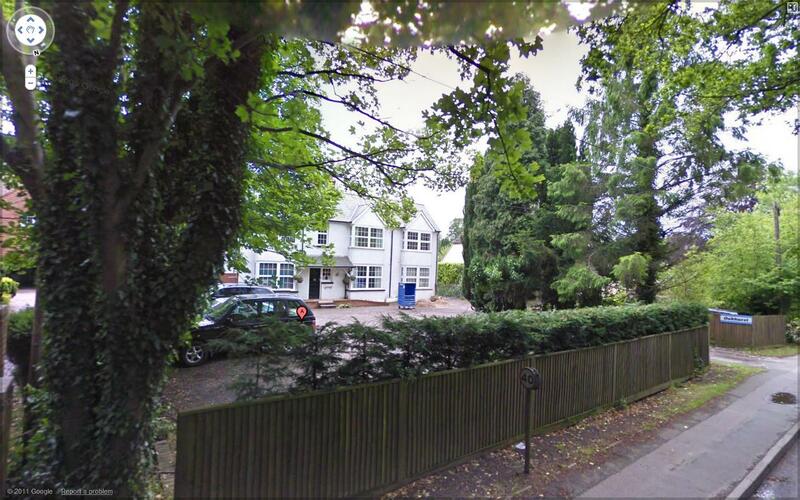 Perhaps Joshua's family lived in Crawley while he boarded at the school in Meads while it was in session. If he'd effectively banked his earnings as a barrister, that was certainly possible. No matter who was residing at Radfords Farm in 1925, we don't have a record of any of Theodore's family leaving there. Howver, there is an interesting record in the 1926 telephone directory: "Horley.... 212 Goodland Miss Margaret Radford's farm Crawley." We know about Mary and Susan Goodland, Theo's daughters, neither of whom could have ordered that phone. His wife was just 21 years old, as we've seen, in 1923. Could a 24-year-old Marguerite have used the name "Margaret" for this phone listing? And, even more strangely, why would she have called herself "Miss"? This is obviously Theodore's sister, Margaret, who would have been 43 years old at the time and still unmarried. She had been a servant on a farm on the 1901 census, but by 1926 has her own phone at Radford's Farm [pictured today, left] and can host guests with young children from overseas. It seems to me that she is not merely a servant by 1926. From 1929, Theodore Goodland himself has kept a phone at Sunoaks, Salthill, Chichester (Lavant 72), but given his proclivity to reside abroad, there's no reason to think he was sitting by it waiting for it to ring in that year. Perhaps his wife Marguerite has rethought the dcision to live in "other parts of the British empire" and has settled in Chichester with their daughters, full time. On 10 August 1931, however, "Captain T.T. 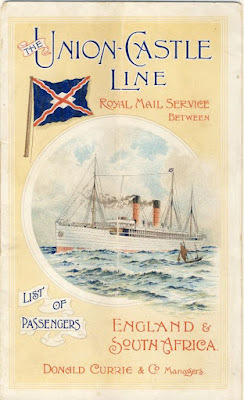 Goodland" sailed aboard the Gloucestershire of the Bibby Line [1931 brochure pictured below, left] and arrived in London. 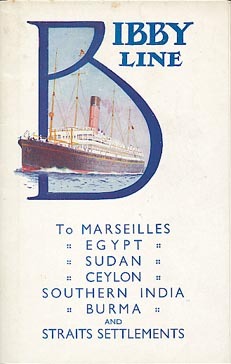 Its voyage originated in Rangoon, Burma, but Goodland is listed as traveling from "Sudan." That's likely Port Sudan on the Red Sea, south of Egypt. He arrived as a passenger, listing his occupation again as "Master Mariner." This was undoubtedly his final ocean voyage. Less than a year later, on 20 July 1932, Theodore Goodland passed away at the age of 51 at the Esperance Nursing Home while living at Sunoaks, Salthill, Chichester. Telephone records show that Marguerite kept a phone there through 1935 under the name "Goodland Mrs. T.T. ", although the number had changed to "Chichester 657." Thoodore's estate was probated on 27 September 1932 to Marguerite Aimee Goodland, widow, Joshua Goodland, barrister, and Roland Carew, accountant at "£10096 6s. 11d." but resworn at "£11253 13s. 10d." That's probably a very nice legacy, given the world at that point in time had plunged into a great economic depression, so we can assume that Captain Goodland had quite a bit of earning power. He clearly wasn't the master of some scow. Marguerite Aimee Goodland may have been a woman Theodore met and fell in love with while in the South Seas. She later appears in voter records while living at 48 Gurnell Avenue in Hamilton, Waikato, New Zealand, in 1963. Born 7 June 1902, Marguerite passed away, however, in Watford, Hertfordshire, England, in 1990 at the age of 88. We've looked at the relatively lucrative career of Theodore Goodland, however, to determine if he might have been the financial benefactor of his mother, Frances, in her home at Gresham House, London, and/or brother Joshua Goodland, who was able to travel the world and enjoy lengthy holidays while studying at Cambridge from 1900 to 1908. Through 1910, however, Theodore was still an 'able seaman,' although bound someday to become a captain. The sights he must have seen—the people, the places, the cultures, the adventures—from the South Seas to Egypt to the Gold Coast of Africa would, I am certain, would be captivating. I wish I knew far more about him than I do! It is unlikely, however, that Theodore was the economic force behind his widowed mother's care or his brother's elite Cambridge education [probate, left]. That only leaves one sibling: Gillmore Goodland's eldest son, Gillmore Goodland. Hi There, me again Susan Goodland is my granny, she remembers living in Sunoaks, salthill chichester. Ive been rtying to find it on google maps but it doesn't seem o register that sunoaks is a suburb, do you think it may have been a house/cottage name rather than street or suburb. if you can let me know same contacts as above but preferably at gordon.tammylee@gmail.com as im phasing out the other addresses.